Music is part of our lives, everyone loves to listen music, for some it is motivation, for some it's way to pass time and some are so addictive that music is turned on even while working.Even my headphones are plugged in right now while writing this blog post.You heard a song on Radio or a great song is playing in the club and you don't know which song is it, Don't worry guys, Android Smartphones have something to offer.Thanks to developers, who by doing coding stuff develops awesome apps that makes our smartphones really smart. There are several free apps available that can easily detect, identify song playing around you and you will get song name, lyrics , mp3, Video of the same. Share your music discoveries on social networking sites with your buddies. 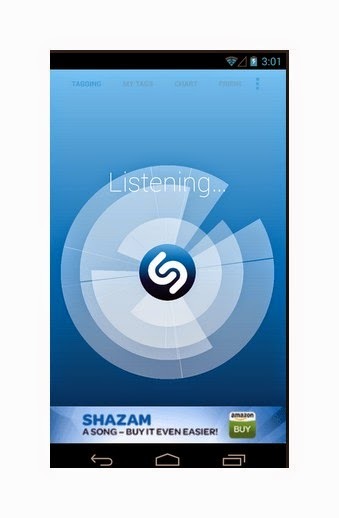 Soundhound is another great app to identify any music playing around you. 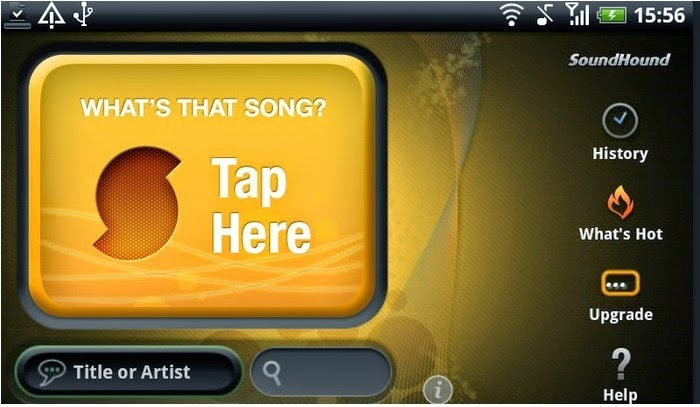 Tap soundhound button and app will show song name and lyrics and explore more similar music or from the same artist. This app have added feature that it can even detect the music and give search results through singing and humming search. Search music by humming or singing. 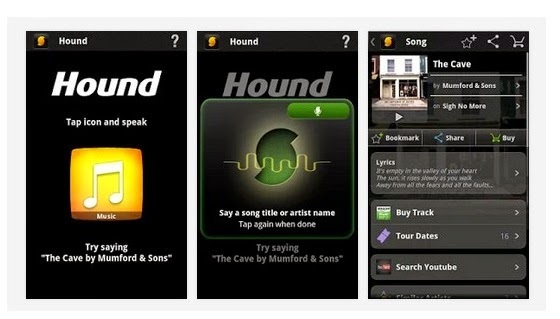 Hound is another instant music search app for Smartphones.This app is from Soundhound only, just say the name of the song or band and it will give you lyrics, Songs previews, Music videos and instant sharing to social networking sites. Bonus : Another app musiXmatch is another useful app to find lyrics of any song along with added features.